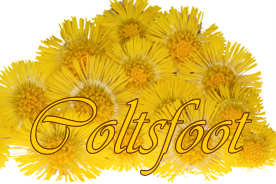 At our house, we consider a keeping a store of dried coltsfoot on hand a good practice for those winter coughs and colds that are bound to come. Coltsfoot tea with the addition of tea and honey is one of my all time favorite winter and flu season tisanes. This is one of the most effective cold herbs I have tried. Recipe Instructions: Herbal Tea :Standard brew. Asthma : There are many old fashioned home remedies that help asthmatics breathe easier. You need look no further than the kitchen. Garlic, onions and coffee have been shown to help ease breathing in asthma.